Cumaru Cladding supplied by us recently featured in the third episode of Channel 4's Grand Designs. The programme followed Martin and Kae in their quest to build a modern family home........inspired by a farm shed! 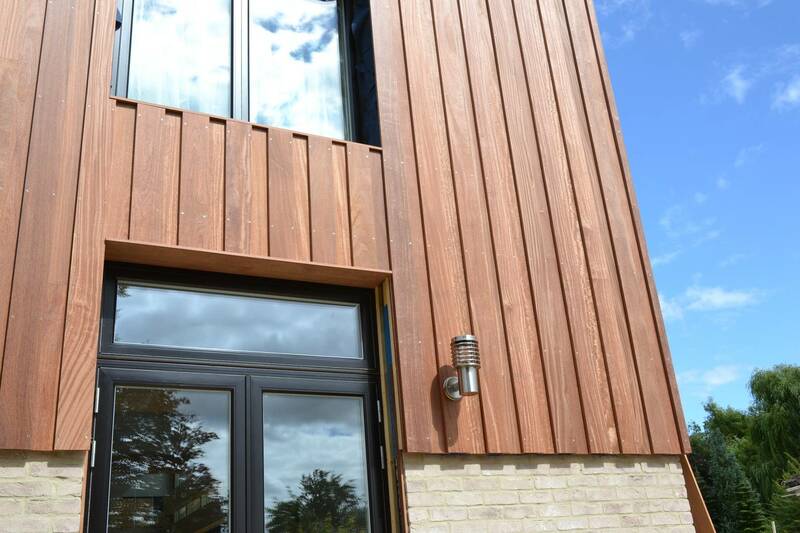 We provided the external timber cladding for the project which used Cumaru, a sustainable South American hardwood. The results are stunning as can be seen in the photo. If you missed Grand Designs, catch up on Channel 4 OD. For more information on Cumaru give our sales team a call on 01472 350151, who will provide expert advice or quotes on request. Also see Channel 4 Scrapbook for a list of the suppliers used in this project.